Aug. 4 — Federal prosecutors are trying to seize a biker gang's trademark registrations but—even if they're successful as part of a racketeering case that's already had one setback—they might not be able to do anything with them. At issue in a case that also brings questions of free speech and ownership of the intellectual property into play are two federal trademark registrations held by an entity called the Mongols Nation Motorcycle Club LLC of West Covina, Calif.
One registration is for the word mark “Mongols” for “association services—namely, promoting the interests of persons interested in the recreation of riding motorcycles.” The other is for the Mongols M.C. 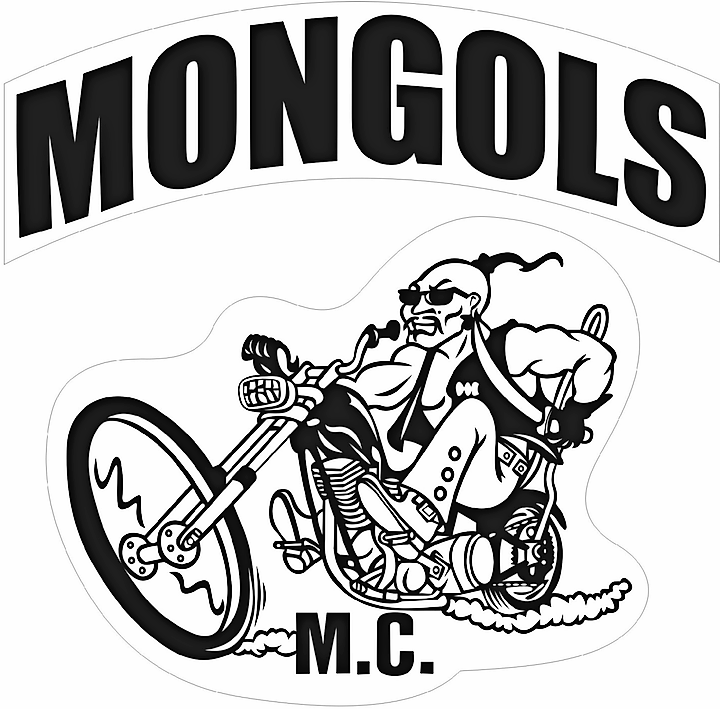 logo, which incorporates a cartoonish depiction of a Genghis Khan-like character riding a motorcycle. The Justice Department, which has brought racketeering claims against the Mongols motorcycle club, is trying to seize property used in connection with the gang's alleged criminal activity—including the trademarks. But that's unlikely to stop gang members from wearing their name and gang logo on their jackets, trademark lawyers told Bloomberg BNA. “The notion that they were going to be able to rip the colors off their back as they were driving down the freeway is honestly kind of bizarre,” trademark lawyer Evan Gourvitz of Ropes & Gray LLP, New York, said. If the government's case goes forward—and assuming a trademark registration is the kind of intangible property eligible for seizure under organized crime laws— it's not clear what the effect of a seizure would be. Gourvitz suggested the government might want to stop the Mongols from enforcing their trademark rights against third parties—something that could help them generate licensing revenue. But court pleadings don't specify what prosecutors have in mind, and the Justice Department declined comment for this story. “I don't know what the government would get out of seizing paper registrations,” Jonathan Hudis of Quarles & Brady LLP, Washington, told Bloomberg BNA. Trademark rights are based on using a trademark in commerce as an indicator of the source of goods and services. Just having or not having trademark registration by itself doesn't give or deny any trademark rights. Hudis speculated that by seizing the registrations, the government might be able to prevent the Mongols from using the registrations as collateral for a loan, but that kind of loan was probably unlikely in the first place. The government's case has been appealed to the U.S. Court of Appeals for the Ninth Circuit, where federal prosecutors have filed their opening brief. United States of America vs. Mongol Nation, No. 15-50442 (9th Cir. govt's opening brief filed July 11, 2016 ). They are hoping to save their case after a federal trial court ruled last year that the government's indictment failed to meet the standards of federal racketeering law. The Racketeer Influenced and Corrupt Organizations Act (RICO) requires that a “person” being prosecuted be “separate and distinct” from the “enterprise” engaged in a pattern of racketeering activity. In this case, the trial court said that the holder of the trademark registration was not the same criminal enterprise that the government was prosecuting. Court documents show a former Mongols president first applied for the registrations. But since his term of office ended, their ownership has changed hands numerous times. Questions of trademark ownership aside, the Mongols may be able to use the First Amendment to hang onto their colors, based on a 2011 ruling in a separate case involving the gang. In Rivera v. Melson, the U.S. District Court for the Central District of California explicitly said that the government couldn't seize the jacket patches worn by a Mongols member. Rivera v. Melson, No. 09-2435 (C.D. Cal. Jan. 4, 2011). The court also said that, as a matter of due process, the government could not simply dispatch agents to seize items believed to be infringing—even if it could obtain control of the Mongols' trademark rights. To seize actual items bearing the marks, it would have to bring a civil trademark claim in court. Rivera also referred to a 2008 criminal case against dozens of Mongols members that may shed light on the government's current motivation with regard to trademark seizure. In United States v. Cavazos, the government said that it wanted to “enjoin use or display of the Mongols mark by defendants ‘and those acting on their behalf or in concert with them,' ” presumably to hinder their efforts to act in public as a biker gang. United States v. Cavazos, No. 08-01201, C.D. Cal., ex parte application for post-injunction restraining order, Oct. 17, 2008 . Because the trademark rights had already been transferred from entity to entity, the government requested a preliminary order to make sure they wouldn't be sold again while criminal charges were pending. As for the current case, it's unclear what the government would do if the trademark registrations ended up under its control.